So you have two voting options for the Leave voters to choose from, but just one for Remain, thus splitting the Leave vote in two and guaranteeing a Remain win?. Perhaps you've not heard of the Single Transferrable Vote system? Or do you think it would be too complicated for people to be required to rank their choices as 1st, 2nd and 3rd? Is this a joke? . But I can't see it happening. No employer is going to stop deducting income tax. Giving hmrc 40 days notice and then taking them to court? Hmmm. And how do we stop paying other taxes, like fuel duty? Do we fill up our tanks and then only pay the garage a fraction of the price? three remain on the statute book. I notice also (from Wikipedia) that if the King doesn't comply, Article 61 empowers you 'to seize his castles and land'. I haven't a foccing clue what's going on at the moment. Neither has the government by the look of it. Long days at work for me at the moment, so quite hard to get a grip on this. But it looks like May’s deal is somehow coming back for another vote. 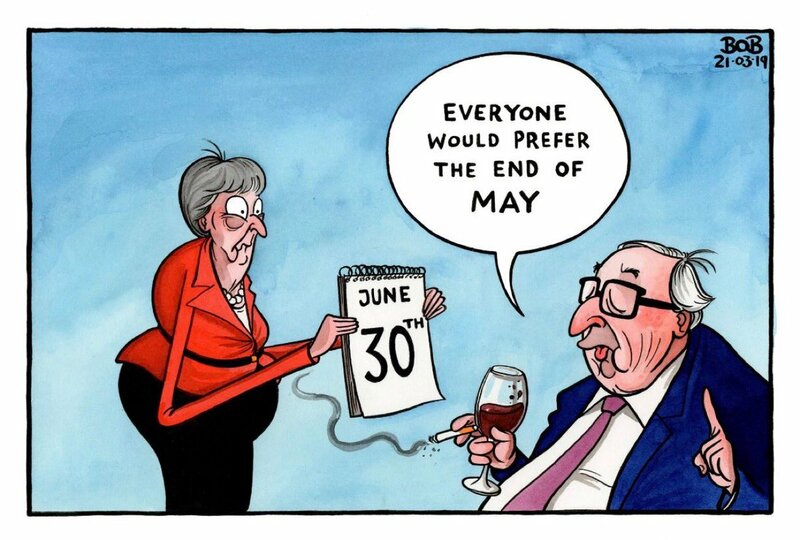 The EU it would appear will allow a short extension if May’s deal is passed. So the way it looks to me today, is May’s Deal or No Deal. It’s No Deal because the EU will not, at this time, grant a long extension unless the UK can provide them with clear evidence that they have a way of moving forward. So to get a long extension that means, as far as I can see, a general election or a second BREXIT referendum. They're acting all superior and pretending to think about it, but we all know that they're shitting themselves about the UK leaving with no deal, or at all, and will definitely grant it in the hope that it might lead to Article 50 being revoked or the rigged referendum that you refer to. No they are not, and no they won’t. It’s not really their problem, and they are tired of wasting time doing BREXIT. They want to move on, and if the UK is not prepared to do likewise, well the UK can move on without the EU as far as the EU is concerned. So, again as I see it, the message from the EU is – jump off the cliff if you want – as frankly our patience has run out. Alternatively pass May’s deal and we will grant a short extension in order to get the necessary legislation through. If you can’t achieve that, and you really don’t want to jump off the cliff, then pick from one of two options – second referendum or a general election – in that case they will consider an extension of up to a year or two. May’s deal is the only deal on the table. 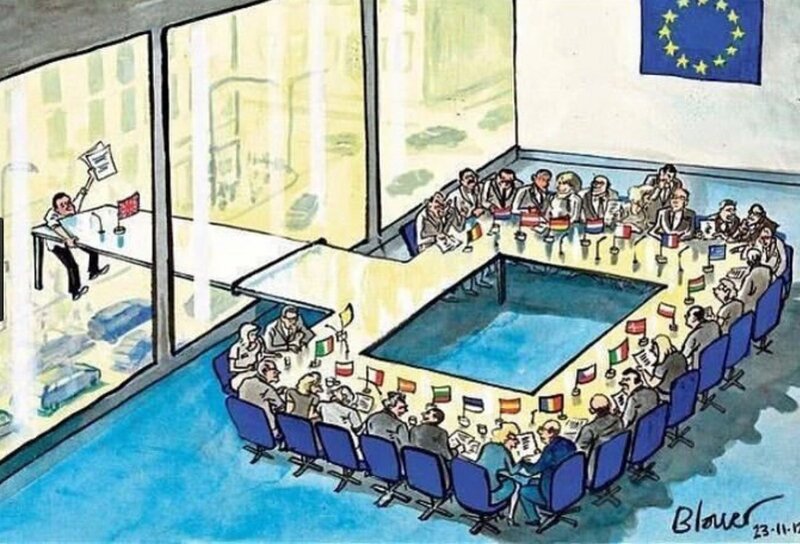 No Deal is not on the table. Those who don’t want BREXIT will be motivated like never before. May’s Deal needs to get all those people who have only ever voted once in their entire lives back out again. I can see it going 60/40 in favour of NO BREXIT right across the country. In Scotland it will be 70% plus for NO BREXIT. And crucially all four nations will vote to ditch BREXIT. The last two months have made it clear to the whole country that our government cannot deliver on BREXIT. But hey that’s only if you have a referendum. The truth is, still anything can happen. Even Norway could pop up again – and those itching to jump off the cliff – that is still possible too. After over 1000 days trying to figure out what BREXIT will mean we are still in the land of – the only thing you can be sure of is that nobody is sure of anything. Well check this one out then. You gotta foccin laugth bud. Dominic Grieve today is 'ashamed to be a Conservative'. As the SNP said today, she is 'weak, weak, weak'. There will be many thousands marching on Saturday demanding a second referendum, me included. You don’t fancy linking up with stockbroker Nigel’s March to Leave then? Is that still going? Seems to have disappeared off the news. Anyway I expect Fartage is just holed up in some Wetherspoons pub somewhere. Is that still going? Seems to have disappeared off the news. Well of course it has. I only heard about it on here and I listen to a lot of news during the day. You gotta ask what was Chuka doing there – why did May invite him? Chuka Umunna is neither a leader and nor is he a member of any party. I mean what the foc. Remain had won the referendum, but the govt triggered Article 50 to take us out. Well, how do you think that could happen when the governing party doesn’t actually want to leave the EU? And what would have been the point of the referendum? Look, David Cameron did something stupid. The people then in turn then asked the government to do something stupid. You cannot argue that May having been asked to do something stupid has not had a good crack, one way or another, of doing something very stupid. So don’t you feel it’s actually about time we just junked the whole darn thing? She's now saying the voters are very tired and just want it sorted. Yes very true Theresa, but they seem to be divided between No Deal and Remain. Not many want your deal. Why don't you understand that? Just let it go. She's like a foccing irritating school mistress. What she isn’t getting is that we are tired of her. She is hopeless. YamFaz, has he got the bottle to stick to his word, if like our MPs eh won't they can't lie straight in bed.